Providers are diverse and so are the reasons physicians and other clinicians quit, change jobs, and retire early. Although seeking more attractive pay can be an incentive, it might not be the primary motivation for finding a different opportunity. While some departures could seem impulsive to healthcare leaders, the providers probably experienced their breaking points some time ago. Unsurprisingly, the reasons doctors, advanced practitioners, and CRNAs give for leaving their jobs are often the same as those of professionals outside the medical field. Here, we highlight three common issues clinicians grapple with prior to tendering their resignations, and we offer a few solutions to help build loyalty and retain quality providers at your facility or practice. More time in front of a computer screen translates to less time with patients. Add that to a lack of user friendliness and interoperability among systems and any provider would be frustrated. As a result, many struggle with loss of productivity, strained communications, and disrupted workflow. Hiring additional permanent staff, from physicians to nurse practitioners (NPs) and physician assistants (PAs), is one solution that administrators could implement. To help solve the technology issue, employing medical scribes to free clinicians from EMR data entry and arranging for further training on the system delivers necessary support and could help improve morale. 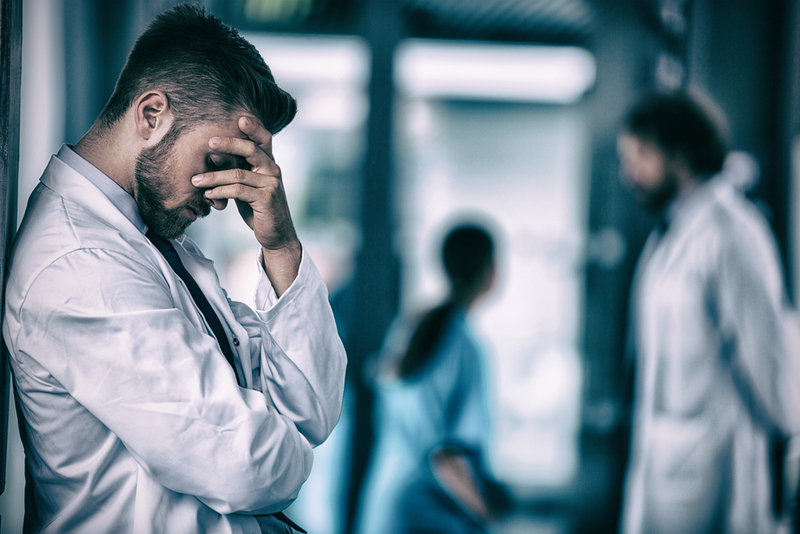 Many clinicians—including NPs, PAs, and CRNAs—hope for flexible scheduling to combat burnout; this solution appeals across generations. Offering part-time practice opportunities allows hospitals and groups to retain quality providers who are facing retirement, as well as those who simply want to decrease their hours. Enlisting the help of a respected locum tenens staffing company to cover staffing gaps can also ease the burden on your physicians. This solution guarantees your coverage and allows providers to more easily schedule time off for vacations and important events, such as reunions and weddings. If possible, options like job sharing and paid maternity/paternity leave will help your clinicians achieve a better work-life balance, too. For providers, growth is not always limited to continuing medical education. Administrators and leaders may consider presenting opportunities for doctors and other clinicians to advance in a variety of areas, from team building and management to technology and interpersonal communications. Professional development makes practicing medicine both fresh and invigorating. Moreover, it can help your providers grow and ensure they remain a valued part of your organization for years to come. Discover how Optimum Permanent Placement Services can assist your staffing needs by calling 603.288.1332 to speak with an experienced business development executive today. Get the latest in healthcare related information and insights sent right to your inbox! © 2019 Optimum Permanent Placement Services.